An over-the-counter drug that's used to treat diarrhea is also being used by opioid addicts to get high and to relieve the symptoms of opioid withdrawal, with sometimes deadly results, the Food and Drug Administration warns. Besides using it to relieve withdrawal symptoms, some consumers are taking large amounts of imodium because it can cause a brief feeling of euphoria, Rx411 reported. Imodium, aso known as loperamide, is safe when used as directed but can cause serious heart problems when it's used with other drugs or used in excessive amounts. 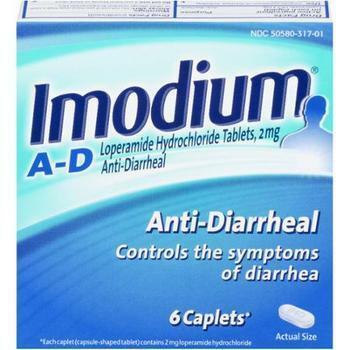 Recent reports in medical journals have told of patients who died from Imodium overdoses despite being promptly treated by emergency medical crews. Loperamide is available as a tablet, capsule, or liquid to take by mouth. Although it is usually taken after each loose stool, it is important not to exceed the total daily dose that is recommended on the drug label or prescribed by your health care professional. For an adult, that maximum amount is 8 mg a day for the over-the-counter version or 16 mg a day for the version available by prescription. The FDA says loperamide should only be taken as directed on the label or by a health care professional. If diarrhea lasts more than two days, people should stop taking loperamide and contact a health care professional.